5 holiday bucket list destinations. Opens in a new window. This hotel is perfect if you are looking for a quiet and relaxing stay. The beds were very comfortable and the view fro mother balcony was beautiful. The breakfast they have to offer has a great celection! All the employees were super friendly and made check out and check in very quick and easy. Quiet surroundings. The room was too close to the noisy pool. Where to find Cashmere hotels near an airport? Where can I find hotels in Cashmere that are near tourist attractions? 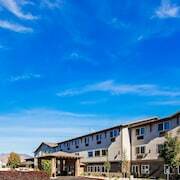 Although there is a limited range of accommodations in Cashmere proper, Expedia's database lists a number of alternatives in the region. You'll find approximately 30 hotels that are located within a 0.1-kilometre (0.06-mile) radius of Cashmere. The Icicle Village Resort, Washington, which is the nearest hotel, is 16 kilometres (10 miles) from downtown Cashmere. Alternatively, check out the Sleeping Lady Mountain Resort, located in Washington, which is 15 kilometres (9 miles) away. 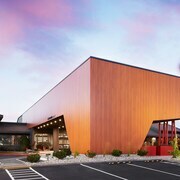 The SpringHill Suites by Marriott Wenatchee is positioned 14 kilometres (9 miles) from the heart of Cashmere. Alternatively, the Blackbird Lodge is 15 kilometres (10 miles) away. 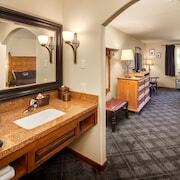 The Alpen Rose Inn and also the Holiday Inn Express Wenatchee are some other hotel options around Cashmere. Interested in seeing even more of the mountains common to this area? Why not plan a few days in other places in Central Washington? Whether you enjoy popular regional activities, such as rock climbing and hiking, or simply travel around to see the attractions, you will be able to find suitable places to stay in the area. 16 kilometres (10 miles) from Cashmere is Downtown Leavenworth, where travelers can enjoy the Icicle Ridge Winery. 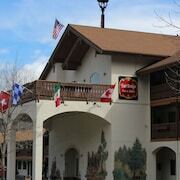 Leavenworth accommodations include the Bavarian Ritz Hotel and Fairbridge Inn & Suites. Or, there's Downtown Leavenworth, 16 kilometres (10 miles) to the northwest of Cashmere. While in Downtown Leavenworth, take the time to enjoy the Front Street Park. The Howard Johnson Express Inn - Leavenworth and Alpine Rivers Inn are comfortable places to stay in Downtown Leavenworth. Before you leave Wenatchee - Lake Chelan, why not make sure you catch local game. 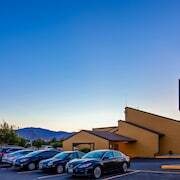 Visit Town Toyota Center to the southeast of Cashmere. 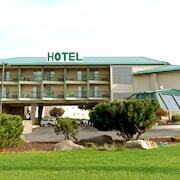 For travelers who are keen on booking accommodation nearby, make a reservation in the Coast Wenatchee Center Hotel or Comfort Suites Wenatchee. Now you've learnt a little about what hotel options are available in Cashmere, take the time to visit Expedia's Cashmere travel guide for more great information on scenic, cultural and social delights in this part of the world. What are the most popular Cashmere hotels? Are there hotels in other cities near Cashmere? 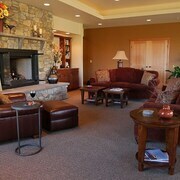 What other types of accommodations are available in Cashmere? Explore Cashmere with Expedia.ca’s Travel Guides to find the best flights, cars, holiday packages and more!